From a Tarot perspective, this transit would be like the Empress is wearing Temperance’s clothing. She’s changed her gown and has sprouted some wings. The Empress is nurturing, kind, and creative. She looks for beauty everywhere. And if she doesn’t find it, she makes it appear. She’s femininity personified, the grand mother of the cards, supportive, and powerful, and willing to fight for her young. The Empress lives in luxury, reveling in the senses. Her world is lush and green. Everything around her is growing, bursting with life. 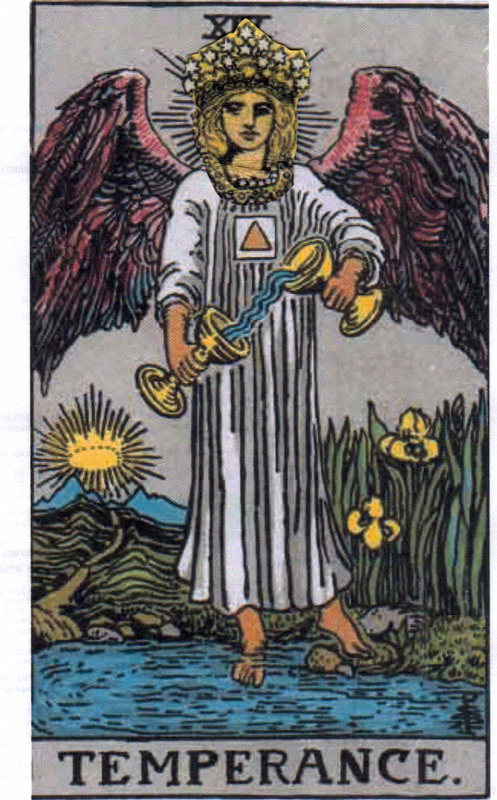 Temperance lives in lush richness as well, though instead of reclining, he’s up and about stirring the waters. He takes nature past itself, and asks you to believe in the divine. Five senses aren’t enough for him. His third eye connects to a sixth. It must be the one that the angels use. 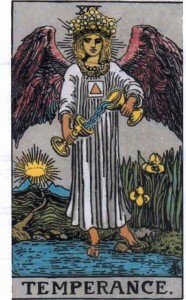 Temperance is balanced and calm, practical and peaceful. It’s not that he’s without fire, he just knows how to keep it even. The Empress is very comfortable in this environment. It’s a chance to spread her wings and make a little magic. Venus in Sagittarius, or the Empress in Temperance’s clothing, is a time of creative harmony. It’s perfect for opening your heart and senses to the beauty around you. Things might feel more magical than usual, but it all comes down to perspective. The magic of the earth is everywhere always, we just don’t always notice it. Right now though, it’s hard to miss. Enjoy and give thanks. Use this time to balance your emotional and practical life. It could be easier than you think. Miracles are possible, but you have to open your heart to let them in.